We have been working in the adoption field for over 20 years and are familiar with both domestic and international adoptions. We provide home studies and post placement services to families throughout the State of Pennsylvania and can also guide you in choosing a placing agency, if needed. Michelle’s adoption journey began in 1997 after three years of infertility treatments. She and her husband adopted their oldest son in 1998 from Moscow, Russia. In 2000, they went back to Russia and adopted their daughter. In that same year, Michelle began consulting with other adoptive families, both domestically and internationally, to help them complete their adoptions. Michelle created Caring Adoption Associates in 2003 because she is passionate about adoption and uniting children with their forever families. She also wanted to help families realize their dream of adoption and provide adoption services at a reasonable cost to families who were adopting both domestically and internationally. Prior to this, she had been a social worker, primarily working with persons who had physical and emotional special needs. She brings to Caring Adoption Associates over 20 years of social work experience and over 10 years’ experience in the adoption field. 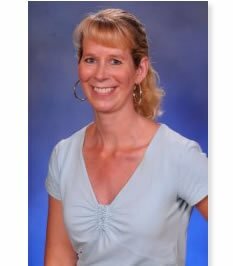 Michelle has also taught for many years as a college professor, in the fields of psychology, sociology, and child development. As part of Michelle's adoption experience, she discovered what she thought was right and fair and what was unnecessary and excessive - in both time and money. Many agencies take a minimum of three months to screen adoptive families and approve home studies - this was too long. At Caring Adoption Associates, we make a commitment to come out for the home visit within two weeks of receiving a family's autobiographies. We will also write the home study and send it to the family for their input within two weeks of the home visit. We make the home visit as easy as possible for the family. It is about two hours in length and is an informal meeting where the social worker will sit with each adult and talk with them about information in their autobiography. This is not to make the person uncomfortable, but it helps us get more specific information in order to present the family in the best light possible to the birth family and to the foreign country. We will also spend some time talking with both spouses together and spend a few minutes with any children who may be over the age of 10 living in the household. We understand that families may be in various parts of the information gathering stage. As such, you probably have many questions. We would be more than happy to provide you with information and assist you in any way that we can. We pride ourselves in developing long lasting relationships with our families by being compassionate, understanding, and knowledgeable. Our rates are also reasonable in comparison to many agencies. We do not charge any application fees, nor are there any hidden fees. Typically, within two weeks of the home study visit, a draft will be emailed to you for your review. After the necessary modifications to the report are completed and we have received the required documents to support the information in the home study report, multiple notarized copies will be released to you. You can then fully begin the process with your placing agency to match you with a child. We look forward to working with you. Please feel free to contact us at any time if you have any questions about the adoption process. We can be reached at: (484) 494-0235.